Codes of conduct to avoid banhammers. You may introduce yourself after registering here. (Not necessary). General things related to the manga and anime versions of DB and DBZ. 138 2,211 Dragonball Z 30th anniversary set! 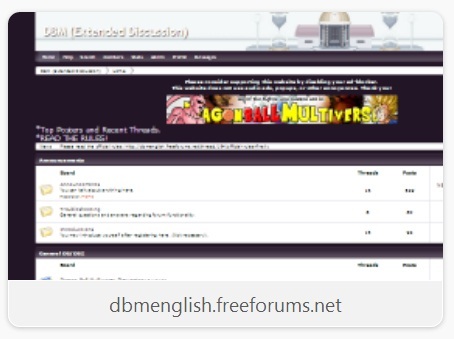 Discussion for all (japanese) mangas and animes completely outside the scope of DB-world. General discussion for western comics (DC, Marvel, etc) and their animated renditions.